This is our month of Uncommon Revelation, just like today is an uncommon Sunday for me to be standing here before you instead of Pastor. I will like to appreciate the Pastorate for this opportunity, and of course my loving, adorable wife for her support in the family. Sometimes I wonder if I love my wife more than my God. Shocking question, right? Now let’s go on this quick journey together; looking at our lifestyles and comparing it with what the Bible expects of us. It was said that a man died and in afterlife found himself on the queue of the accused going to Hell. He kept wondering why should this be? “I am intelligent, obedient, young, totally committed to my GOD. What am I doing here with this sheet of supposed sins in my hand? He wondered. I don’t drink! I don’t smoke! I don’t fornicate! I don’t steal! Others should be here, but not me! He sighed again and mentioned one of my names that no one knows. “I would not be stopped! It’s impossible” The man yelled. “I worship only GOD, the Most High, Maker of heaven and earth, the KING of kings and LORD of lords. I bowed down to none, I have no talisman, no amulet, no pot underneath my bed”. “You are guilty of idol worship,” HE repeated calmly. He looked at me, I looked at HIM. It seemed like forever. The room was silent. I could hear the clock ticking. I am never late for bus/train station or air flight but I am always late to church – I blinked. My payments to services I enjoy e.g. : SKY, phone bills etc., are never late but I haven’t given offerings/tithes in a while – I looked down. When meeting one of our local chiefs last week, I would not even pick a call in the presence of this earthly royalty, but I WhatsApp in Church. I wouldn’t interrupt my performance appraisal with my boss for anything, but I missed Church last week because of a series on TV. I wouldn’t let a day end without talking to my spouse but today I just said, “Hi GOD, Bye GOD”. And I didn’t even pray last night – The room began to feel hot. I would never miss going to the bank because of the weather but I missed the fellowship during the week because it was drizzling. I would wear my coat of colours to party meetings and not care what anyone thought of me, but I hate to talk to my workmates about GOD because of what they will think of me. I always have the latest tech gadget you can think of, but my Bible is so worn out. I can’t even find the book of Jude in my Bible anymore. The last thing to touch before going to bed is my phone and the first thing in the morning is chatting on WhatsApp or replying offline messages. And never bordered to talk with GOD or reading HIS Word. I felt so hot in the room, a nervous sweat on my forehead. I felt so ill and weak, all of my anger and self-righteousness was gone, leaving me with immense guilt in its wake. I slowly got off the chair and knelt by HIS Feet and said “I am sorry, I am guilty as charged! I am guilty of idol worship, guilty of placing others; humans, technology before YOU. I am guilty of idol worship”. He smiled gently, looked at me with those Passionate Eyes of HIS, Full of Love and HE gave me a fresh sheet and said, “Deliver souls”!!! I call it a misplaced priority – why? 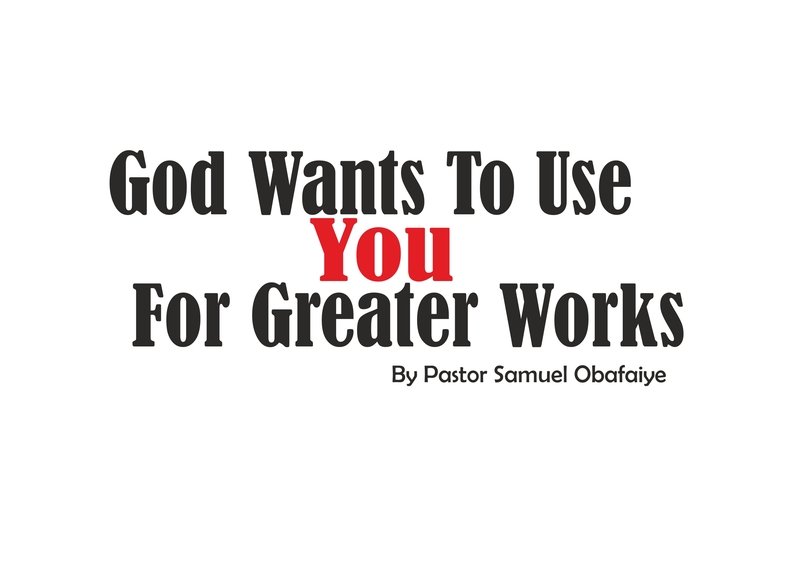 Let us look at I Kings 3:4-12, The popular Solomon’s wisdom. The first time God appeared to King Solomon. He gave a thousand burnt offering at Hebron, God was pleased with him and told him to ask for anything he wanted! I believe if that was us, we would have asked for riches, power, long life, etc. But Solomon asked for an understanding heart to govern God’s people. The bible says the saying of Solomon pleased God; he was given wisdom and understanding, and other good things he didn’t ask for were also added. At this stage, the relationship between Solomon and God was looking good; his heart was good towards God. 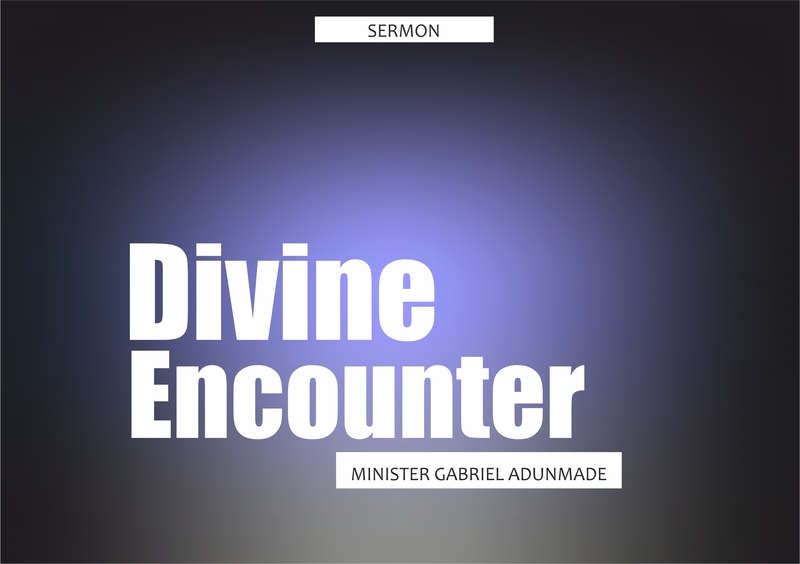 In I Kings 9:1-7, God appeared to King Solomon the second time. After the Temple was dedicated unto God; Jehovah was pleased with Solomon. God made a lot of promises to the Israelites and to Solomon in person, and charge him to keep His commandment so that his throne and days will be long. Sadly, in I Kings 11:1-12, the Bible makes us to know that King Solomon heart deviated from God and went after idols that all the strange wives he married brought from their lands. All these gods, Solomon built an altar for and worshipped them! It is possible that Solomon didn’t see himself this way, as he was equally making a sacrifice to God as well. Who would think that King Solomon would ever become an idol worshipper despite his wisdom and understanding of God? The same message is coming to us today; God is saying to us now, “Who do you love?” Do you truly love Me or idols? Are there things we love more than God? Do you love your wife, children more than God? When something goes wrong, who do you first run to? Would that be God; your spouse or another relation? When you are supposed to use your time, money, energy, talent and other resources for the things of God; what do you use such resources for? What percentage of your life goes into the things that matter to God? We can eventually tell who we love by what we do. 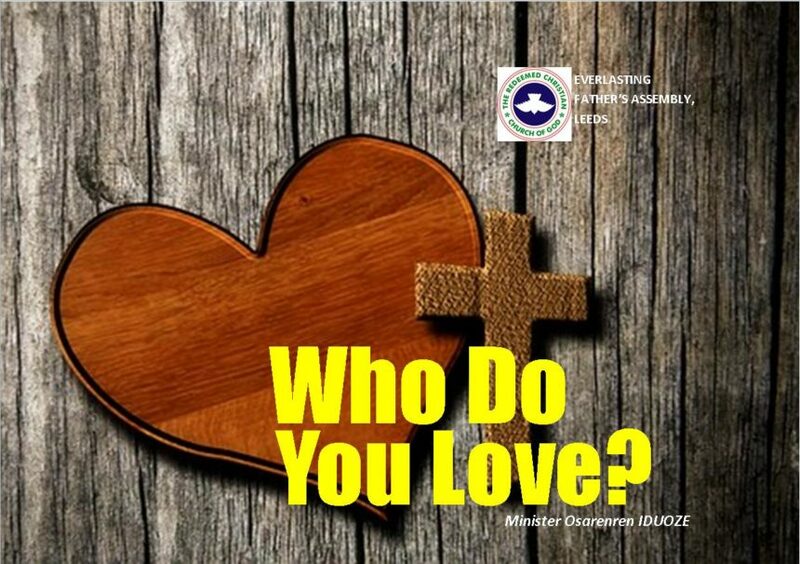 Who do you love? Will that truly be God or some kind of idol which might not be a stone or a wood. God is a jealous God. He wants us to serve Him alone; placing another thing as a priority above Him will incur His wrath. May that not be our portion in Jesus name. Something intrigued me in the story of King Solomon, he received a blank cheque, yet he did not ask for grace not to sin against God all his life but rather he was bothered about his image and not to make errors in governance. The Bible says in Ps 66:18 “If I regard iniquity in my heart, The Lord will not hear me”. But the good thing is that in 1 Jn 1:9, the Bible says, “If we confess our sins, He is faithful and just to forgive us our sins, and to cleanse us from all unrighteousness”. Jn 3:16 says “For God so loved the world that He gave His only begotten Son, that whoever believes in Him should not perish but have everlasting life”. You cannot even start to hear God or love him without first loving His Son Jesus and having a relationship with Him; so I encourage you this afternoon that if you have not made Jesus your Lord and personal Saviour; or you need to rededicate your life to Him; then, now is the time to do so as no one knows the hour or the minute when he will breathe his last breath or when Christ will come.